It is licensed by the Gibraltar Licensing Authority and is regulated by the Gibraltar Gambling Commissioner. Their games are tested by the independent tester of gaming and wagering devices, iTech Labs and the site displays the eCOGRA seal of approval for fair gaming. 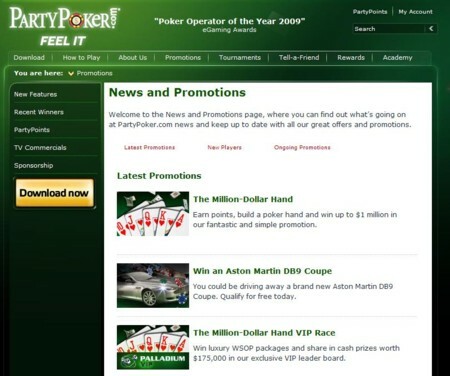 Party Poker was awarded “poker operator of the year 2009” by eGaming Awards.